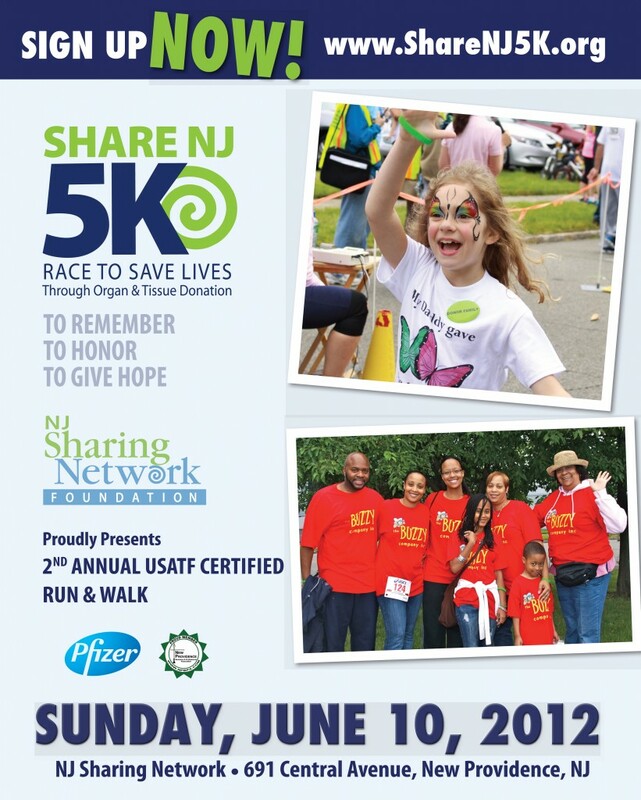 The New Jersey Sharing Network is a nonprofit organization responsible for the recovery of organs and tissues for the nearly 5,000 residents awaiting an organ transplant. 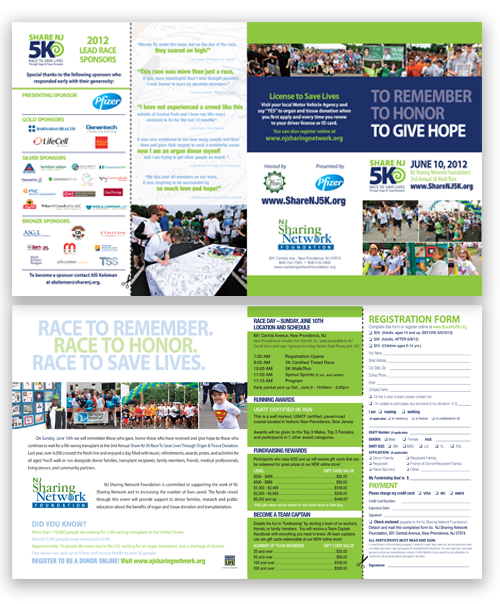 The Network sponsors a 5k race every year to raise money and awareness. The race attracted 245 teams mostly made up of organ recipients, those awaiting organs, and families of donors. The six week media blitz earned placements in print, on-line, television, and radio. This year the race raised $607,000, a 35 percent increase over the previous year’s race. Those of us who are involved in putting on fund raising races, can appreciate the temendous amount of time and effort it takes to make a race that successful.